Abies concolor 'Camanche' is an irregular conical to spreading selection of White fir white short medium green needles and dense branching structure. Annual rate of growth is about 1.5 inches (4 cm), resulting in an attractive little tree 15 inches (37 cm) tall and 24 inches (40 cm) wide after 10 years in the garden. This cultivar originated as a witch's broom found by Chub Harper at a private residence in Camanche, Iowa. In Chub's notes, the original broom was said to be of medium size growing in the top of the tree. 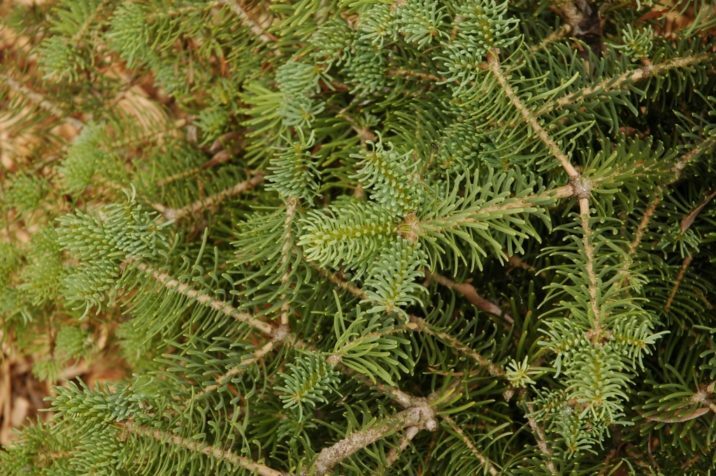 Abies concolor 'Camanche' — a closeup of foliage detail. 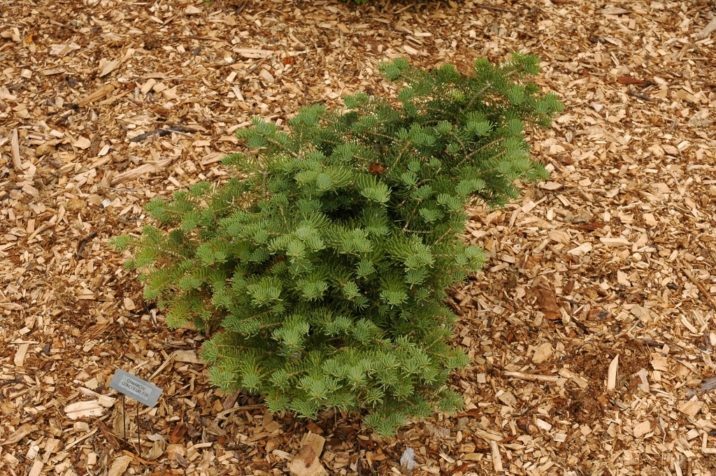 Abies concolor 'Camanche' — a well grown mature specimen.